Halloween director David Gordon Green has expressed interest in bringing back the Ghoulies and Critters franchises. After the success of making a direct sequel to John Carpenter's horror classic, Green will probably have a shot at bringing some other 1980s horror movie back to the big screen as well. While the Halloween sequel was expected to be a success, it ended up becoming the highest grossing installment in franchise history and the fourth highest grossing R-rated horror movie as well. In a recent Q&A to promote Halloween, David Gordon Green and Danny McBride were asked about other potential movies that they'd like to revive. Green said, "I'd like to make a little Critters/Ghoulies movie." He didn't elaborate any further, so it's not clear if he wants to make a movie combining forces, or make their own separate movies. However Danny McBride told a personal story about Ghoulies. He explains. "When I was a boy I asked my parents for Goonies for Christmas and they gave me a copy of Ghoulies, never gotten over it." The first Ghoulies movie was released in 1985, and it features a group of small demonic creatures that resemble twisted Garbage Pail Kids. They are accidentally summoned by a college student who instantly regrets his decision to dabble in the occult. The characters are probably best-known for the bathroom imagery that consists of a Ghoulie coming up and out of the toilet. Amazingly, three sequels were produced and they never really caught on with critics or a mass audience. However, David Gordon Green could use some of his special magic to reinvigorate the franchise by possibly ignoring all of the other sequels and making a direct sequel instead. Critters came out in 1986, and is looked at a little bit better than the Ghoulies franchise. Like its rival tiny creatures, the franchise produced three more sequels, each one with varying degrees of success. 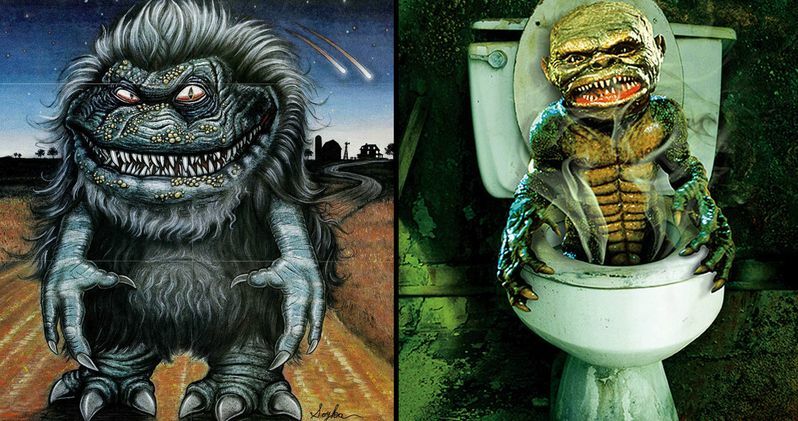 Unlike the Ghoulies, Critters is getting a new web series entitled, Critters: A New Binge. It was shot in Canada during the summer and recently wrapped filming. The web series will be a reboot of the franchise, which means that David Gordon Green is probably going to have to go with Ghoulies instead. Additionally, it has been announced that the SyFy Network is in talks to take over the Critters rights. While it looks like the Critters franchise is out of the question for David Gordon Green, Ghoulies looks like it is available and ready to get turned into a modern horror masterpiece. With that being said, Green and Danny McBride are more than likely preparing a sequel to Halloween at the moment, though they could be doing research for a possible Ghoulies movie, which would be pretty awesome. They could pay tribute to the sequels, like 1991's Ghoulies III: Ghoulies Go to College. You can check out the rest of the Q&A over at Reddit.